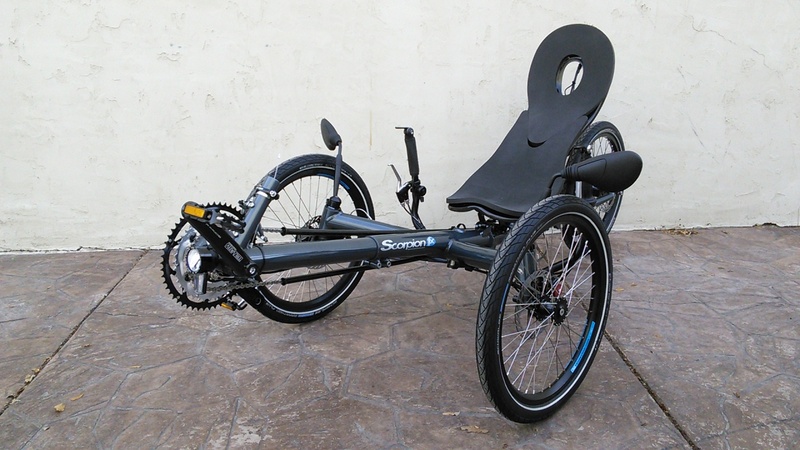 The HP Velotechnik Scorpion FX trike is a folding trike with rear suspension, three different seat options, and many other possiblities for customization for your riding needs. 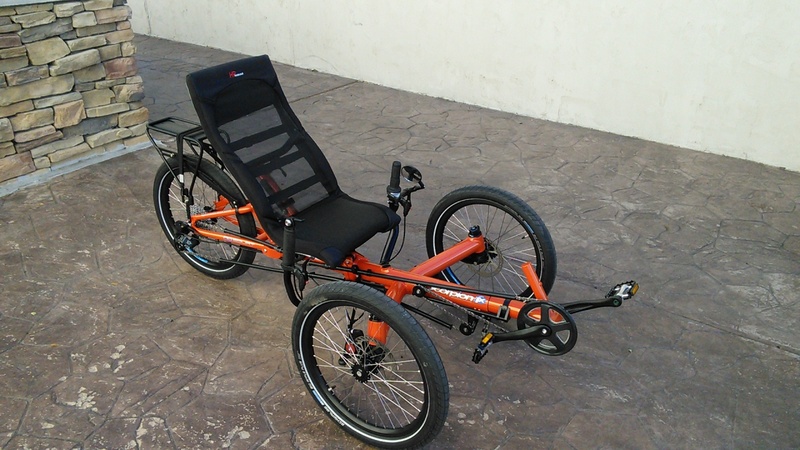 This trike is the ultimate folding trike for commuters and tourists who want a smooth comfortable ride, with a huge gear range to tackle almost any terrain. 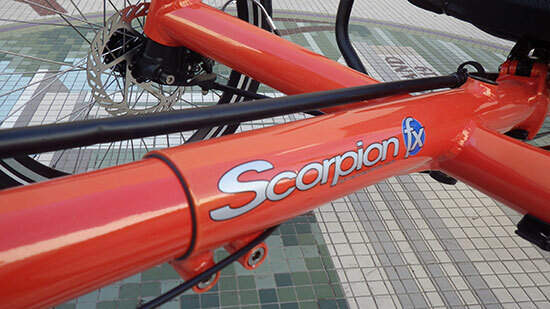 Like the Scorpion, the Scorpion FX has three seat options. The long wheelbase provides for safe braking, easy access to the seat, and avoiding heel interference for smaller riders. With a seat height of 35 cm, the Scorpion fx' seat position is 9 cm higher and more upright than the more sporty standard Scorpion. 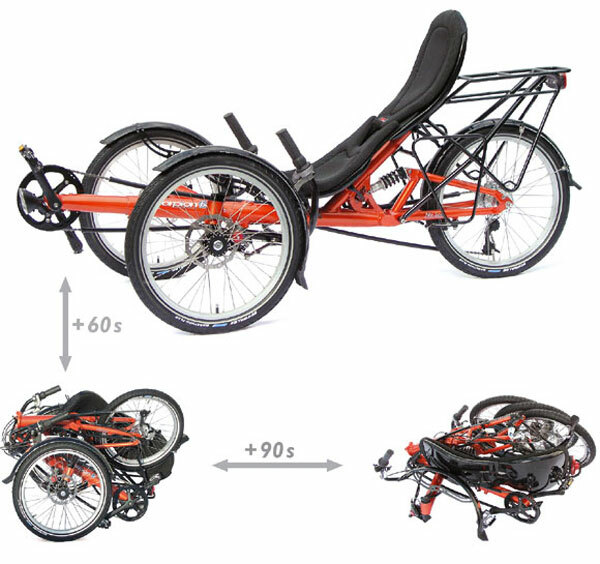 This conveniently foldable touring trike has been designed by HP Velotechnik's engineers especially with the needs of commuters and touring cyclists in mind. 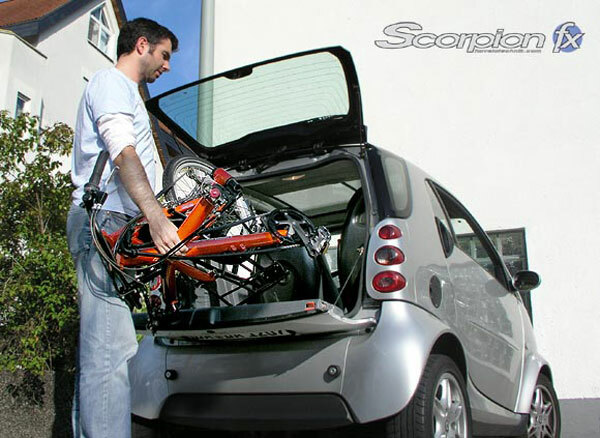 The seat height of the Scorpion fx is noticeably higher and more upright compared to its more sporty fellow Scorpion, offering great outlook and a good view in traffic.